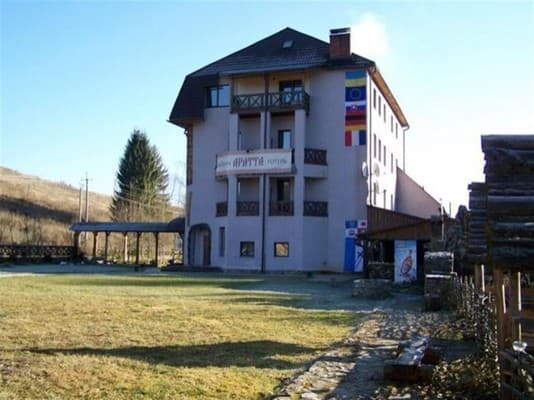 The hotel complex "Aratta" was built in 2007. 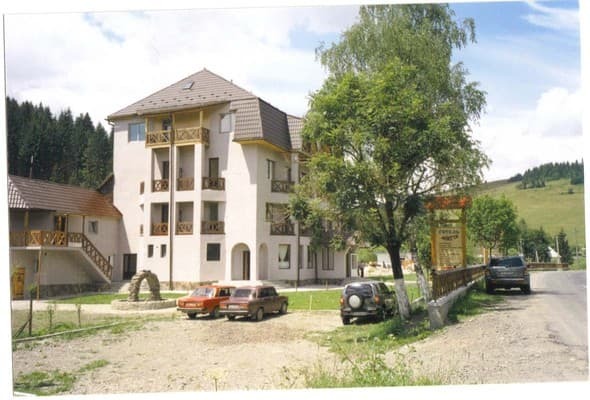 It is situated in the picturesque mountain place of the Mezhhorskij region of the Trans-Carpathians. The height of the location of the hotel is 780m above the sea level. On the territory of the hotel surrounded by evergreen firtees runs a river Repinka. "Aratta" suits perfectly both for the quiet family rest and for those who prefer active rest at any time of the year. 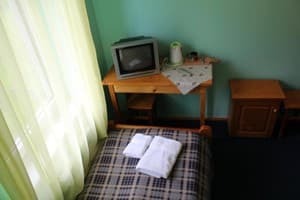 The amount of the rooms in the hotel is 25 comfortable rooms with all the conveniences: a bathroom unit, a shower cabine, a TV set, satelite TV, a phone, a mini-bar, a fridge and the hotel can accept 60 visitors. 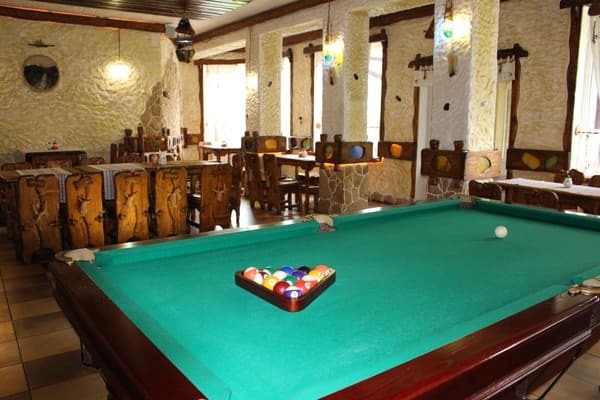 The infrastructure of the complex comprises a sauna, a billiards hall (Russian billiards and Chicago billiards) with a fireplace, table tennis, a conference-hall comprising 100persons, a museum for models of brick churches, chamber wine hall, a room with a fireplace, a barbecue zone, a restaurant with the Ukrainian, European and Trans-Carpathian cuisine, rent of bikes and alpine skiing equipment. A unique restaurant hall with the designer's handmade interior creates a great atmosphere of the comfort and cosiness. 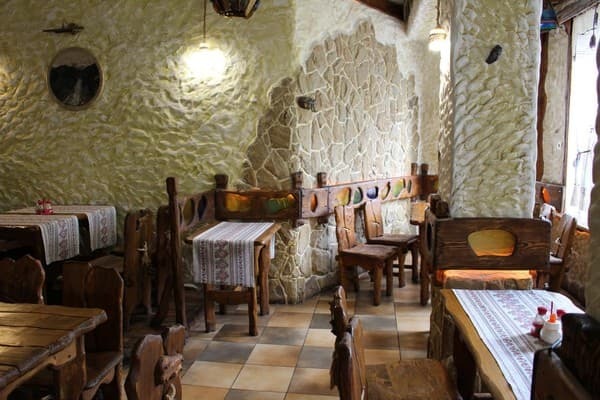 The main hall of the restaurant, a beer bar and a wine tasting room allows to receive 80 persons and Trans-Carpathian, Ukrainian and European cuisine will please the visitors by the choice of the dishes and the quality of service. 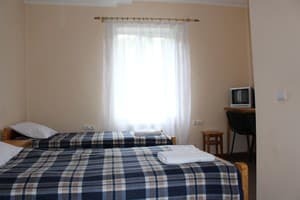 Description of the room: One-room, single room with all conveniences (washbasin, toilet, shower), satellite TV, telephone, mini-bar. The room rate includes two meals a day. Description of the room: The room has all the amenities (washbasin, toilet, shower), satellite TV, telephone, mini-bar. Two bedroom suite. In one room there is a double bed, in the other - a folding sofa. The room rate includes two meals a day. Description of the room: The room has all the amenities (washbasin, toilet, shower), satellite TV, telephone, mini-bar. The room rate includes two meals a day. In the hotel there are rooms with extra places for children, there are also double half de lux rooms. The room rate includes two meals a day. It is located in the picturesque mountainous area of ​​the Mezhgorsky district of Transcarpathia. The height of the location of the hotel above sea level is 780 meters. 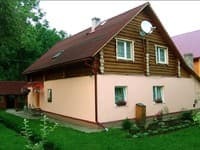 How to get: - by train to the station Volivets (Uzhhorod direction), then an organized transfer 14km to the hotel Aratta or by taxi - car/bus. Along the international highway Kyiv-Chopyou should reach the village Nyzhni vorota. On the highway a police post - it is impossible to go past or fail to see. The direction to Volovets, Mizhhirya near the police post turn to the left. In 10km Volivets, at the entrance to the city there is a round interchange, turn to the left in the direction of Mizhhirya. 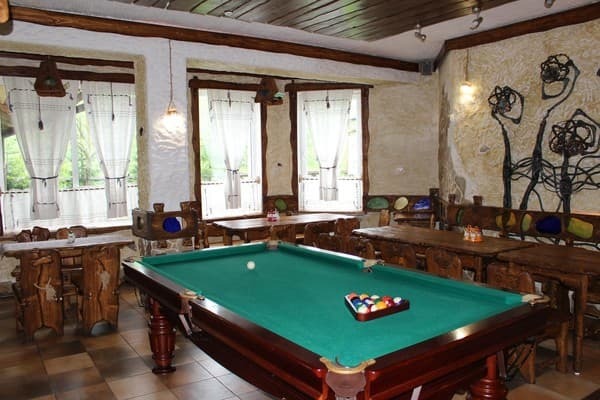 In 12km the village Podobovets - go past and 2km further you will find the hotel Aratta. - By plane. To Uzhhorod, Lviv, or Ivano-Frankivsk. Better to Uzhhorod - 1,5 hour by car. The way from Lviv to Ivano-Frankivsk will take up to 3 hours.